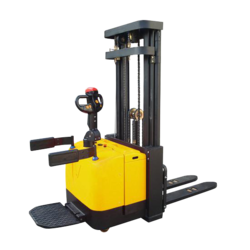 In order to retain remarkable position in this industry, we are providing a wide array of Battery Operated Hydraulic Stacker. Available capacity: 1000 kgs to 3000 kgs. 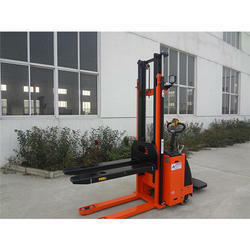 - Lifts load up to 5000 mm. - Capacity :- from 500 kgs to 1500 kgs.